So, you've found the perfect apartment or house that ticks just about every box on your list—there's just one little problem. Most homes require some sort of compromise, whether that's trading a longer commute for bigger rooms or the perfect backyard for a cramped kitchen (just to name a few common scenarios). Among the many real estate flaws overlooked in favor of a home's more impressive qualities is a small bathroom. Most homes have a least one bathroom that's seriously lacking in square footage, but that's no reason to discount a space. There's actually quite a few ways to make any tiny bathroom feel like the master suite. All it takes is a few carefully placed decorations, the right type of storage, and a bit of optimism to make it happen. In order to glean some of the best small bathroom ideas from a pro, we tapped Decorist Elite Designer Baylee Floyd of Baylee Deyon Design. 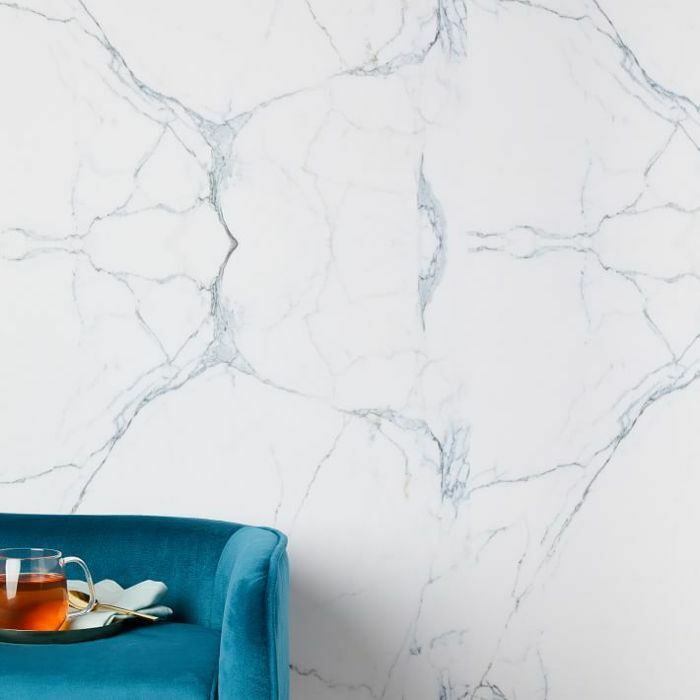 While she has many ideas for how to make a small space feel bigger, there's also one major decorating mistake that she wants you to avoid. "A common mistake I see a lot of people make when decorating a small bathroom is thinking that just because they have a small space, they can't have storage," she tells MyDomaine. However, according to her, a small bathroom doesn't mean you should opt for a pedestal sink instead of something with drawers and hidden storage. Ready for more tips and tricks that will make your small bathroom seem much bigger? Keep reading for some of Floyd's best small bathroom ideas. When it comes to painting a small bathroom, Floyd recommends sticking to light and bright neutral shades. "I find that there is often not much natural light, or may not be a window at all, in a tight bathroom space, so I like to stick with whites and neutral greys to make the space feel as bright and airy as possible," the designer explains. However, she's also not opposed to using wallpaper in a small bathroom. "I find that wallpaper is a great solution to updating small space bathrooms in rentals because it really gives the whole space a facelift while being removable and affordable," Floyd adds. 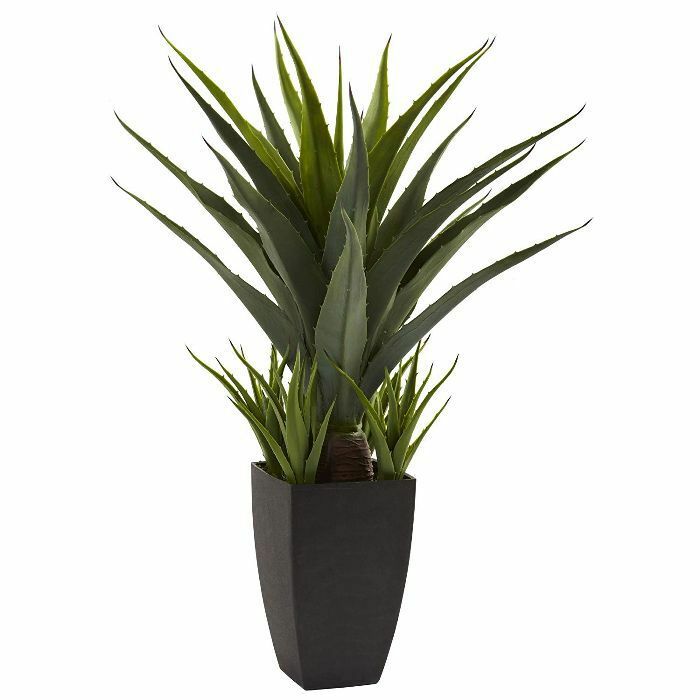 "Plants are a must in the bathroom," Floyd says. "There is just something about that small touch of greenery that really brings the space together and invites you in," she adds. Whether you have room for a potted tree to sit by the tub or if you only have space for a hanging plant that floats in the corner, the fresh (or faux) botanicals will bring a lot to even the tiniest of bathrooms. "It also adds a very calming and serene feel for a spa-like bathroom vibe," the designer points out. Along with plants and neutral paints, the right mirrors can do wonders in making a small bathroom feel massive. "Not only do they reflect more light around the space, but they also make it feel bigger overall," Floyd explains. If you have the wall space to add in more mirrors or even replace outdated ones with fresher options, it will open up a cramped bathroom with just the illusion that there's more space. 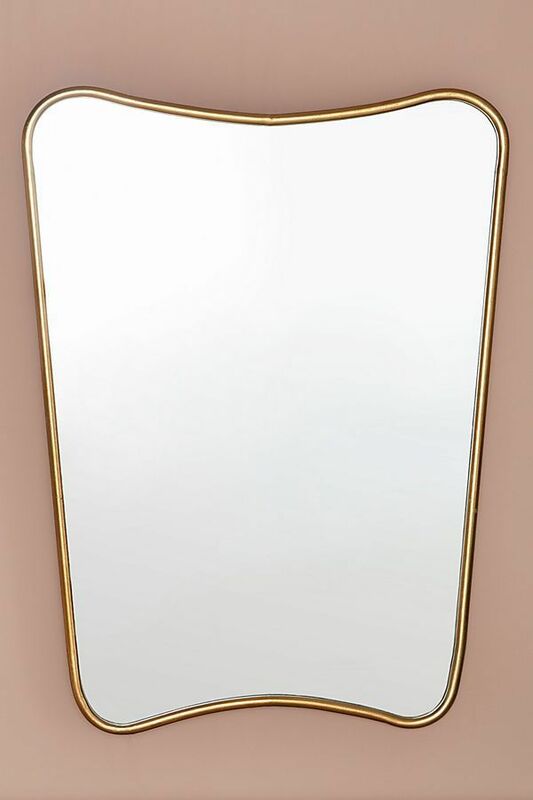 According to Floyd, the right mirror/medicine cabinet combination can be "a life-saver." The trick is finding one that doesn't feel dated. Floyd suggests seeking out a piece that you'd never guess what a medicine cabinet thanks to its contemporary design. You can also opt for a floating vanity to place beneath a modern mirror that doubles as extra storage space. "You wouldn't believe what a difference it makes not having legs on your vanities or a built-in cabinet-type vanity," Floyd says. "When you get the vanity off the floor, you will be so surprised with how much bigger it will make the space feel," she adds. 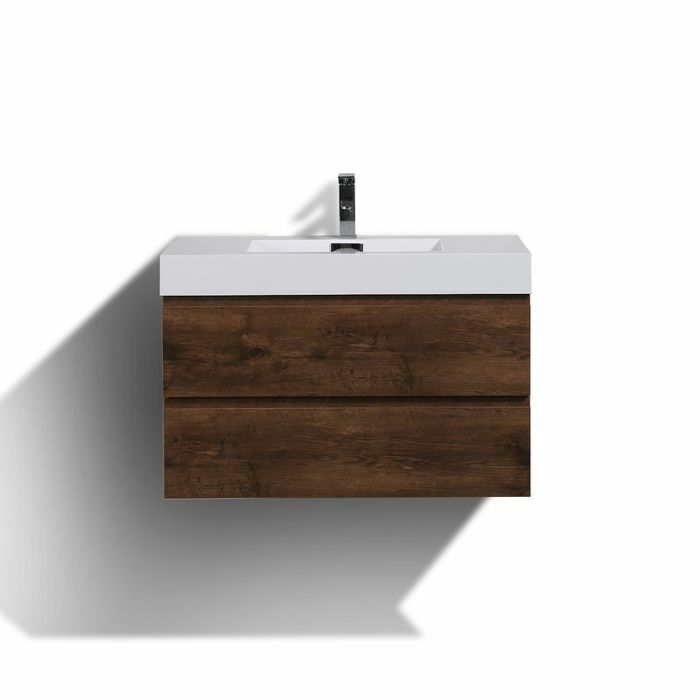 As Floyd mentioned earlier, many people think that they have to install a pedestal sink in a small bathroom, sacrificing the precious storage space that comes with cabinets. However, this couldn't be farther from the truth, according to the designer. "With a small bathroom space, you want to maximize your storage options," she says. 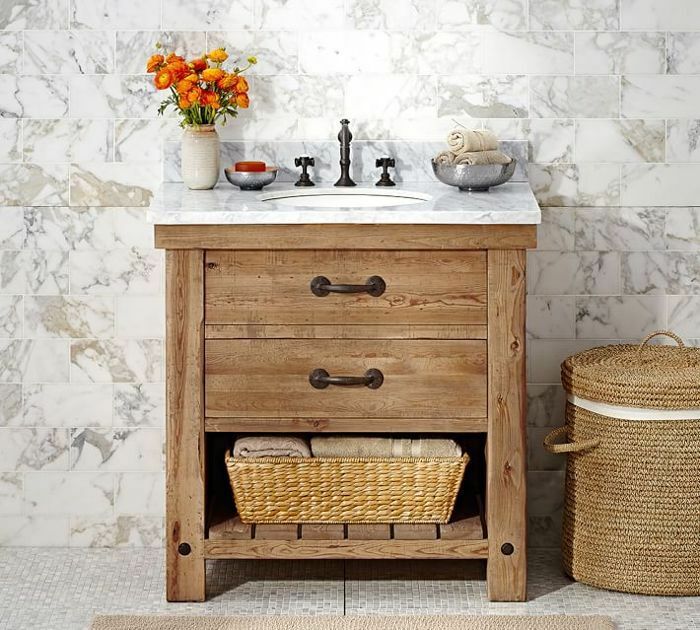 Even if it's just a simple 18-inch vanity with a cabinet and small drawers built in, it will make all the difference. Another key space saver? Floating shelves above the toilet. "Most toilets are beside the shower or the tub in small bathrooms so I love to put floating shelves above with rolled up towels for linen storage and easy access from the shower," she continues. Up Next: 10 bathroom paint colors interior designers swear by.